Millennium OS (M-OS) is a very nice operating system. It is the GUI that I'm continually working on. M-OS has so many neat features to it. The GUI is very fast and nice looking to accommodate users with a Windows 98-style environment. There is also "BigFOOT!" which is the toolbar with 3 buttons on it at the top of the screen. This can be dragged and closed at anytime. 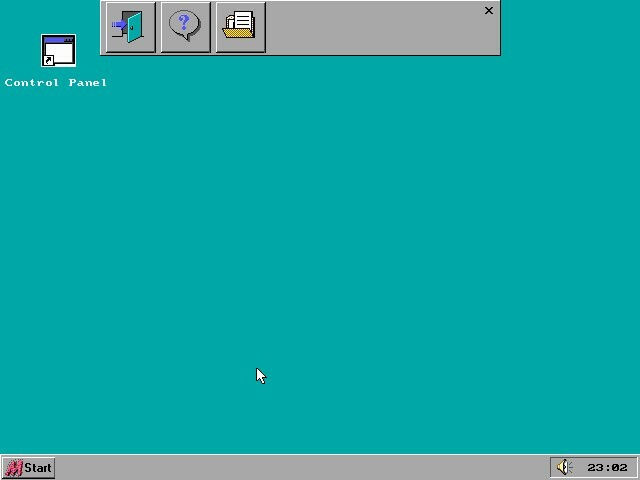 I believe that it was made to purposely bring a type of Linux task bar into a DOS environment.